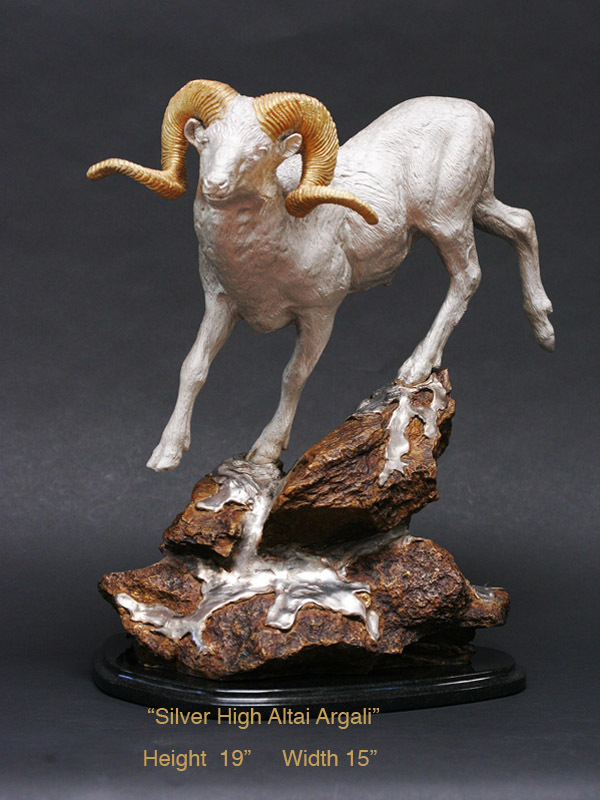 This impressive argali is the largest wild sheep with the heaviest horns of any sheep in the world. It lives in the Asian Altai Mountains of Siberia and Mongolia. Here Doug has shown it running down a precipice with silver snow on the rugged rocks. The horns are plated in 22 kt gold.